How do you use IQOS MESH? A replaceable VEEV capsule that contains the mesh heater, a hygienic mouthpiece, and a nicotine-containing flavoured liquid. It’s easy to change the flavour caps; simply snap on and you’re ready to go. With no special maintenance or cleaning needed, IQOS MESH delivers a hassle-free, hygienic vaping experience with no after-taste from one flavour to another. The VEEV capsule is made of Tritan - a durable and resistant plastic that is free from Bisphenol A (BPA) and approved for food packaging manufactured in the EU. IQOS MESH is simple to use and relies on puff activation. Once you turn it on, there is no need to consistently press the button while you vape. IQOS MESH lasts a full day* on a single 90-minute charge, so you don’t need to worry about battery life. Just remove the protective seal and gently push the VEEV flavour capsule into place. Press and hold the button for 1 second until the light is a constant white. The device is now ready to use. If IQOS MESH is unused for 3 minutes or more, the device will automatically switch off. You can also switch it off manually by holding the button for 3 seconds until the LED turns off. Changing flavour capsules is also easy. You don’t even have to turn off the device before removing the VEEV flavour capsule. 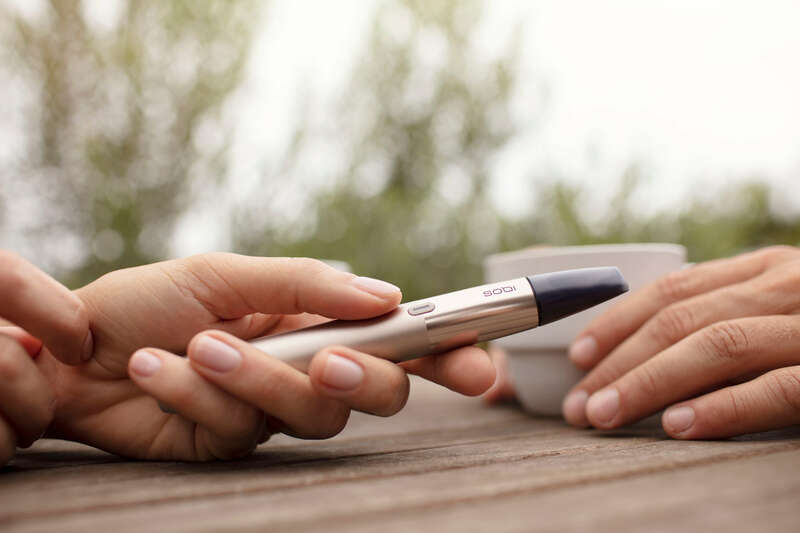 Just hold the VEEV flavour cap, and without twisting, pull it away from the device. Then gently push your new VEEV flavour capsule into place. You don’t have to wait until the previous capsule is empty before changing it either; just swap in and out whenever you want. Learn more about the technology behind IQOS MESH. * Full charge in 90 minutes. Based on average consumption of 1 cap per day. Battery performance may vary over time. **Based on new battery, charging on AC adaptor, no vaping during charging, ambient temperature less than 100C. Battery performance may vary over time.